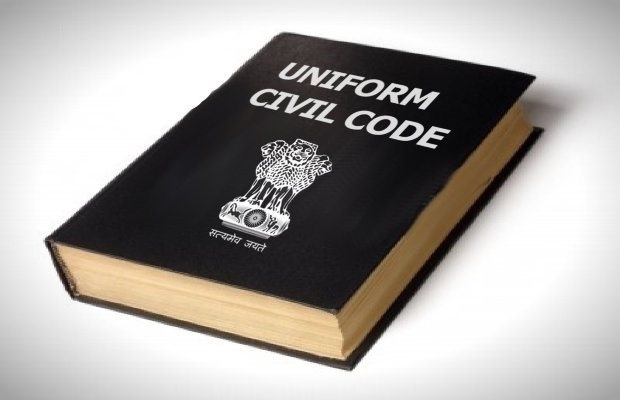 Uniform Civil Code (UCC) mentioned in our Constitution. Laws relating marriage, divorce, inheritance, adoption are directed by personal laws. The Britishers codified only criminal and civil law. Muslim personal law and Shah Bano case. Necessity of Uniform Civil Code. Uniform Civil Code (UCC) is a concept where a common code is applicable to all the communities notwithstanding their religion, race, caste, creed etc. Under Article 44 of the Constitution under the chapter of Directive Principles of State Policy it is mentioned that, "The state shall endeavour to secure for the citizens a Uniform Civil Code throughout the territory of India". The provision has been kept under Directive Principles of State Policy, because it is a directive which the Constituent Assembly foresaw was not implemantable at the time of our independence. Therefore, the state should strive to achieve an egalitarian society where all the communities are governed by Uniform Civil Code, If the concept is implemented in future it will unite the communities politically, socially and organically. In common parlance, Uniform Civil Code generally deals with that part of law which deals with family affairs of an individual irrespective of their primordial identities. Laws relating to crime, tax, commerce, contracts etc are uniform throughout the country. But cases relating to marriage, divorce, inheritance, adoption etc are directed by customs and practices of the community. Various religious communities residing in India have their personal laws applicable to each religious group. The preamble of the Constitution is the essence of the Constitution and the idea of India. It aims to constitute India as sovereign, secular, democratic and republic. Therefore, it is the duty of the state to secure for its citizens justice, liberty, equality thereby promoting fraternity while assuring dignity of the individual and unity and integrity of the nation. Implementation of Uniform Civil Code in letter and spirit will ensure the ideas mentioned in the Preamble to become a reality. The debate of Uniform Civil Code pre-dates our independence and Constitution. During the British era, they codified the criminal law and civil law. But they kept certain matters away from civil laws as they thought that these issues were deeply interwoven with the religious tenets of that particular community. The Britishers did not want to hurt the religious sentiments of Indians, as they considered that interference on religious matters was not at all conducive to their trade relationship. Therefore, the 2nd Law Commission in 1933 warned against any legislation overriding the Hindu Law or Mohammedan Law. In entire India there was variation in customary laws even inside religion. Particularly the Hindu customs relating to marriage differed among different castes. Similarly, application of Sharia Law was not strictly enforced across parts of India. This led to a more regional customary law. These created impediments in creating a uniform law for different religions. Similarly, during the religious reform movement in India, revolutionaries like Raja Ram Mohan Roy, Ishwar Chandra Vidyasagar among others were instrumental in weeding out regressive practices in the Hindu religion. Similarly, Sir Syed Ahmed Khan was instrumental in bringing change in certain personal laws applicable to Muslims. He said "if the religious tenets of any religion is not in sync with time those tenets should be fossilised." Similarly, Mahatma Gandhi also said, "wisdoms in religious scriptures are not immutable." These men in their era strived to weed out customs and practices which were ethically and morally wrong. Similarly, in the post independence period, there was heated and emotive debate in the Parliament over Hindu Code Bill. Leaders like Nehru, Ambedkar, Patel, Rajendra Prasad etc participated actively in the debate. However, later on the diluted form of Hindu Code Bill was passed. Over years many efforts were put into codify personal laws applicable to each religious group. Some prominent laws pertaining to different communities are: Indian Christian Marriage Act, 1872; Anand Marriage Act 1909 (Sikhs); Muslim Personal Law (Shariat) Application Act, 1937; Parsi Marriage and Divorce Act, 1937; Hindu Marriage Act 1955 (for Hindus, Buddhists and Jains). In the Hindu Marriage Act itself there are certain exceptions which allows its application based on region. For example in South India, the concept of cousin marriage is allowed. Similarly, the act through the interpretation of court allows for certain exemptions for tribal customs. The court over years has given directives to state for a Uniform Civil Code. In the Mohammed Ahmed Khan vs Shah Bano case popularly known as Shah Bano case, in 1985 the Supreme Court directed the Parliament to frame a Uniform Civil Code. In this case, the victim Shah Bano claimed maintenance from her husband under Section 125 of Criminal Procedure Code after she was given triple talaq. Nationwide discussions, disruptions and agitation took place. In a serious turn of events the then Rajiv Gandhi Government overturned the directive of Shah Bano case by Muslim Women (Right to Protection on Divorce) Act, 1986 which curtailed the right of Muslim women under Section 125, Criminal Procedure Code. Under pressure from Muslim clerics and conservatives the rights of Muslim women were curtailed. Recently the case of Shyra Bano came to light when she was given triple talaq. She was forced to undergo multiple abortions for the want of a male child, After so many attempts to get a male child the husband gave her triple talaq. In this case too, the Supreme Court put its foot down and was of the view that the custom of triple talaq be abolished. However, All India Muslim Personal Law Board decided to oppose any move to scrap the triple talaq. Whenever there is a debate on implementation of Uniform Civil Code arguments are given for and against its implementation. Uniform Civil Code is applicable currently in the state of Goa making it a model case study. Here, the implementation will bring a sigh of relief for females. As in all these cases they are mostly at the receiving end, whether divorce or inheritance. It will bring in an era of Indian Legal System with high degree of parity, between different religious groups. On the other hand, there are ardent opponents of Uniform Civil Code. It is argued that it will impose the customs of majority and will reflect a tyrannical state. It will further endanger unity by creating more ill will among the community. Therefore, it can be said that UCC is in conjunction with Articles 25 and 26 of Constitution allowing for religious faith and belief. Customs and traditions cannot and should not come to preserve of any religion. It should be bound by a unified law to attain parity around different individuals of the country. Therefore, civil matters should be taken in the same law. Only after such change will we be able to attain the preambler goal of fraternity, equality and secularism. This political step will bring about change and will bring in the values of tolerance and mutual respect for every citizen. Ardent very enthusiastic and showing strong feelings about somebody/something.